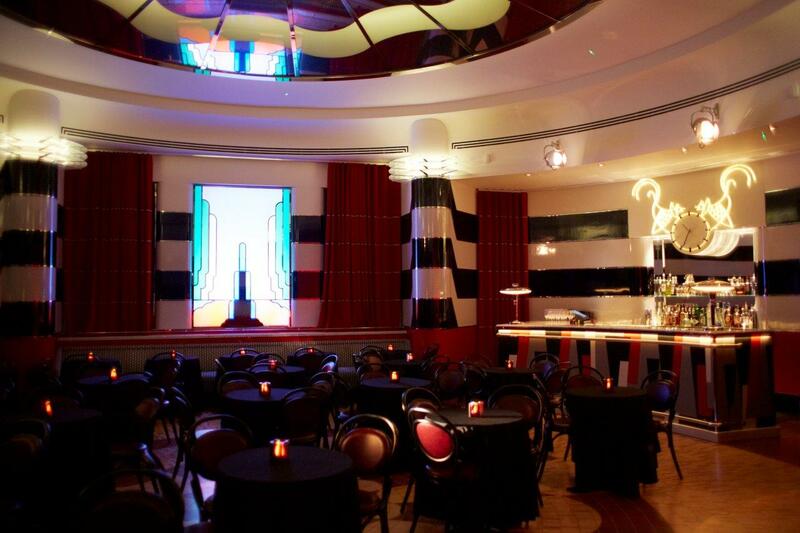 The Crazy Coqs – a beautiful Art Deco cabaret venue in Piccadilly Circus. The second feature of my series on London’s cabaret spaces. 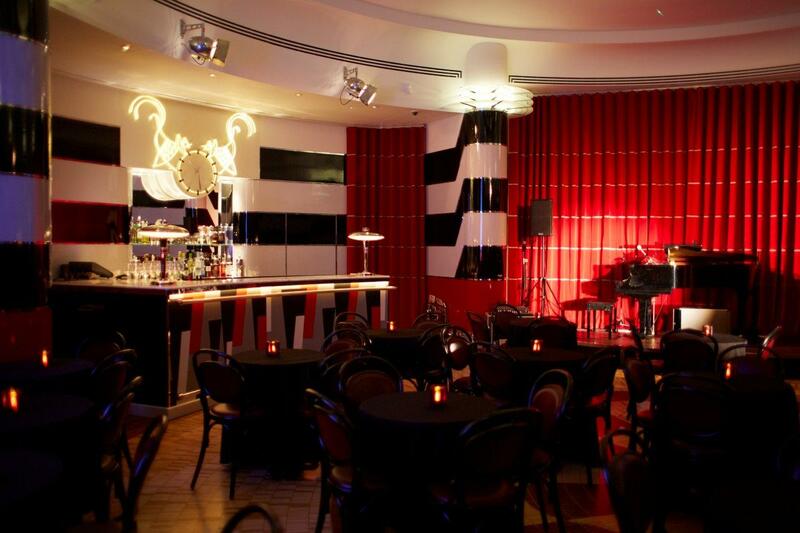 In the second feature of my series on cabaret venues, I am going to talk about The Crazy Coqs – an exquisite little jewel of a space in Piccadilly Circus, where I have written many reviews and will be performing myself in just 2 weeks time. Restauranteur Jeremy King, a quiet and unassuming man despite his physical presence, rarely gives interviews. He is known for his reticence in speaking about his restaurants. At one time, he owned The Ivy, Le Caprice and J Sheekey, but now along with his partner Chris Corbin, he is the proprietor of The Wolsey, The Delauney, Colbert and Brasserie Zèdel, which of course houses The Crazy Coqs – which is why I wanted to talk to him. He is currently recovering from knee replacements (aagh!! I exclaim as someone with many years’ ballet training), but was kind enough to speak to me on the phone. For those who haven’t seen this lovely cabaret space located right by Piccadilly Circus, it really is a little gem. The whole building including the Brasserie, the Bar Amèricaîne, the French Cafè upstairs and The Crazy Coqs has been restored to Art Deco splendour using the original architectural drawings of the 1930s Oliver Percy Bernard design. When standing in the circular space that became the Crazy Coqs, Jeremy was considering the best use for it, including turning it into a private dining room ( oh, yawn..), when he decided it would be ideal for jazz and cabaret. Hurrah!! He couldn’t have been more right. The intimacy and sightlines make it perfect for the kind of connection between artist and performer that makes cabaret so immediate, so special. The elegance and riot of colour in red, white and black 1920’s/30s style engender exactly the kind of old-time glamour the artform exudes, and the cocktail bar all adds to the right atmosphere. The staff, led by the lovely Martyna, are welcoming to both artists and audience alike, unobtrusive during the show and genuinely interested in helping create the whole experience. The small round stage has a grand piano and tight though the space is, can still accommodate a couple of other instrumentalists and a singer. It is easy for the singer to mingle with the audience as part of the act, which is delightful. Naturally, working in a listed building can have its problems. For a while, neither lights nor acoustics were totally up to scratch, but with Jeremy using persistent charm and persuasion, permission was eventually granted to mount in discrete places the required lighting gantries and appropriately designed curtains to aid sound quality – yes, even curtains have to be argued over. The whole proceedings are overlooked by a fabulously weird and wonderful clock, specially made from the original design with two cockerels eyeing each other over the timepiece, and this was what inspired the name The Crazy Coqs, in a nod to the Parisian tradition of cabaret. But why cabaret? Why not a private dining room which would, it has to be admitted, make a lot more money? Well, it happens that Jeremy King values the Arts – I mean truly values them. 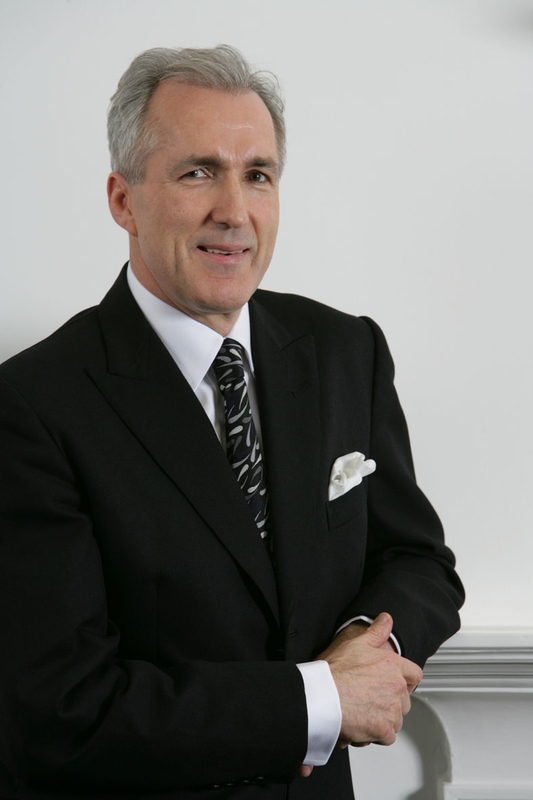 Over the years he has served on the Boards of several arts organisations, including The Soho Theatre and The National Theatre. He personally very much enjoys cabaret and jazz. He knows many performing artists whom he counts as friends, and – this is the nub of it- shares our heartfelt belief that the Arts bring “..an experience, a pleasure, a feeding of the soul that simply cannot be measured on a balance sheet.. “and that ultimately is of immeasurable importance. Indeed, there are regular guests coming every week to see the array of artists Artistic Director Ruth Leon engages. It brings a buzz and air of excitement in an establishment designed from the start to provide a slice of glamour at affordable prices. I personally have heard people be taken aback at the reasonable restaurant and bar tab. The whole Brasserie Zèdel project has accessibility in mind, and the cabaret is given its time and place to grow along with all of that. Enough about the space. What about the artistic vision? “Right from day one, I was keen on seeing a variety of acts there”, says Jeremy. After some initial experiment playing with a number of ideas, he felt what was most missed in London was the sort of material seen at the Pizza On the Park before it closed i.e a more traditional, classic style of singers’ cabaret. Now that Ruth has come on board, it has pretty well settled into a couple of long-term residencies with John Standing and Ty Jeffries, and weekly residencies. However, he was at pains to point out that they “..don’t want to lose touch with people who might perform initially for one night, as we never know what they could bring and it gives both parties a feel for each other.” There will also be some weeks when something quite different will go on, perhaps something themed, but at heart the vision remains for beautifully sung classic American Songbook territory. Ruth Leon herself is an interesting and typically astute choice as director. 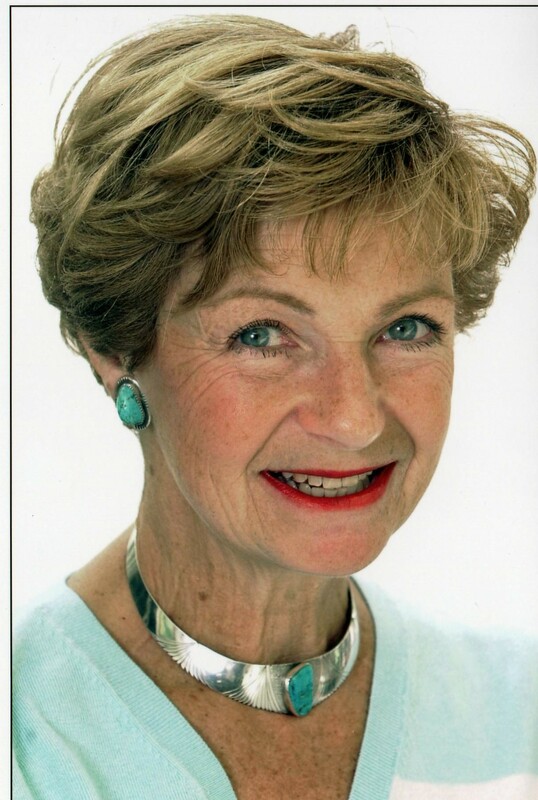 Widow of the late theatre critic Sheridan Morley with whom she would have seen much and met many a fine artist, Ruth herself has produced and directed revues and cabaret with such notables as Rosemary Ashe, Patricia Hodge and New York stars KT Sullivan and Steve Ross. They lived in both New York and London and so it is hardly surprising that she has such a wide canvass of experience and people to draw from. Ruth and Jeremy have known each other for many years, but it still came as a complete surprise to her when she answered her mobile phone in the mountains of Colorado to hear Jeremy saying not only had he made a cabaret room, but that he wanted her to run it. Understandably, she was somewhat daunted –especially considering the current ailing state of cabaret in New York with closures of such famous places as The Oak Room in The Algonquin and Michael Feinsteins! This project is still new, and Jeremy and Ruth are still working on the best way to get the most out of a cabaret programme and the room itself. A recent addition has been the engagement of a pianist to play during the first hour of the room opening to create the right ambience. They are still experimenting with the times for the performances, particularly the two late night shows on Friday and Saturday evenings. But they know that to get everything right takes time and courage – and they have both. How lucky is London? This entry was posted in Features - Theatre and Cabaret News and tagged Art Deco, cabaret, fiona jane weston, London cabaret, London Cabaret venues, London theatre, Piccadilly Circus, Ruth Leon, The Crazy coqs. Bookmark the permalink.